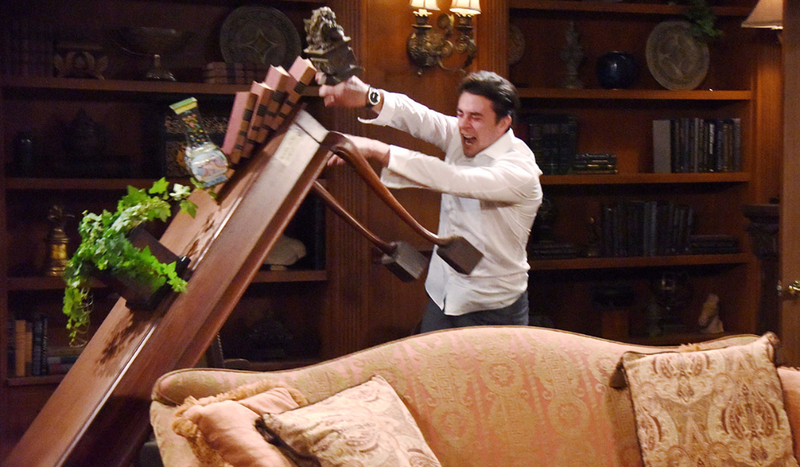 Chad smashes a chair at the DiMera mansion. 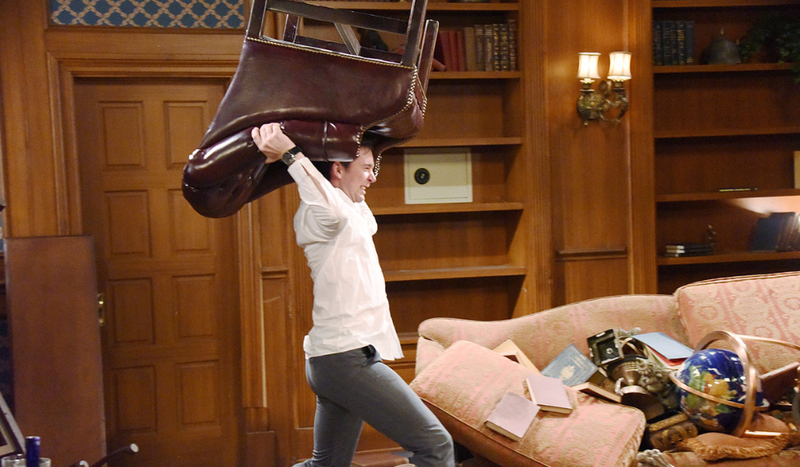 Chad throws a table in his grief. 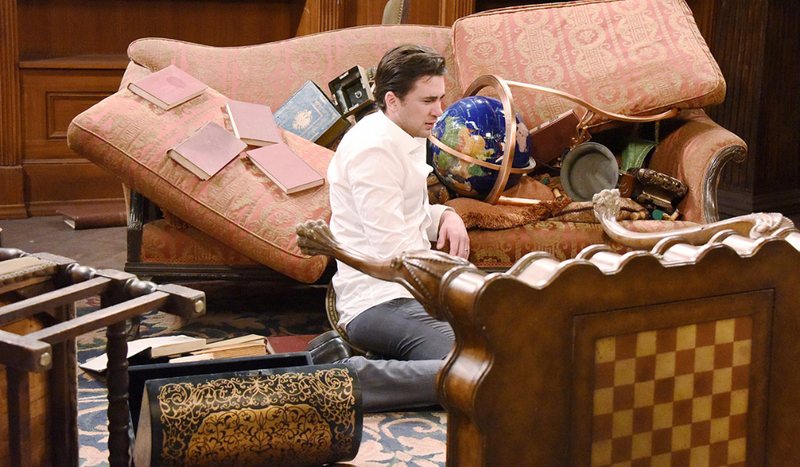 Belle comforts Chad during his time of need.